random and pressing details: Hi, Neighbor! Can we talk about your dog a minute? Hi, Neighbor! Can we talk about your dog a minute? Hey, how you doooooin'? We have been on wavin' and noddin' terms for going on five years now. And we have both had our dogs for about the same amount of time. I must admit, your lil' Yorkie is the epitome of adorable. He really is. And I don't blame him for the smelly, steaming messes he leaves in my yard. After all, he's only doing what dogs do. However, I have a couple of issues with YOU. 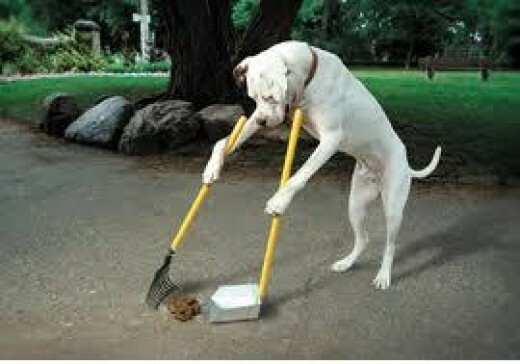 See, the way I figure it, a dog who is housebroken will only do his business wherever he is allowed to do his business. Can you teach FooFoo how to do this? Or at least teach him how to Dougie? That's where you come in, dear lady, being the dog owner and all. For the most part, I haven't said much over the years as I have watched you walk past my home, on the sidewalk, and your dog has lifted a leg on my trees. I have kept my mouth closed as I watched your precious lil' froofroo cop a squat on the curb side grass, and then watched while you walked away and left it to biodegrade in its own stinky time. Even though never ONCE have I, nor any of my family, taken Roger the Rat Terrier to defile your immaculate lawn. Lately, though, you have been pushing the bounds of my kind and understanding nature. First, I noticed you come out of your house with the froofroo dog, cross the street, allow your dog to poop in my yard, and then immediately return to your house and go inside. Your dog toileting in my yard while you were walking him is one thing. 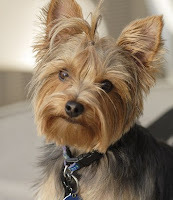 Purposefully crossing the street with the intent of letting your Yorkie use my lawn for a latrine, though? Today, however, you have surpassed all limits of patience and tolerance. My kindness and understanding came to an abrupt end at about 4:15pm. It was then that I happened to look out my front window to witness you, dear lady, walk your pooch up my sidewalk and allow the hairball to lift his leg on my kid's bicycle! To say I am aggravated, irritated, angered, or incensed is to drastically understate my level of pissedoffitude. See, here's the thing... I know I don't have the best landscaped lawn on the street. I know I have an eight-year-old that leaves his toys and stuff in the yard. I know my house is starting to need a coat of paint. But that doesn't mean I don't care at all. It means I'm a working mom, and when prioritizing my life, spending time with my kid takes precedence over yard work. It doesn't mean that I welcome your snookywooky's little biological care packages. It damn sure doesn't mean that I'm going to tolerate the blatant disrespect and unneighborliness you displayed this afternoon. MY SON'S FREAKIN' BICYCLE, FOR THE LOVE OF SOCKS!! See, I can't even let my son see how truly irate I am right now. Why? Well, because you're a teacher at his school, and I'll be damned if he ever says a disrespectful word to you. Despite the fact that you let your dog defile his favorite toy. I hope you're pleased with yourself, Mrs. A. I hope you are pleased. Again, I borrow from Luvvie... You, Ma'am, are a classless wonder! oh HELL NAWL!!! !That is so ridiculous... have you given her hell yet?